The Shure MX410 Microflex Miniature Gooseneck Microphone is flexible in more ways than one. The MX410 delivers unsurpassed style and performance for boardrooms, conference rooms, podiums, and similar applications. It is fully compatible with Shure SLX wireless systems. Also available wireless, with 5" gooseneck, supercardioid polar pattern, single color light ring, desktop or mounted for the perfect fit for your conferencing installation. A compatible MX400DP Microflex desktop mic base is sold separately. 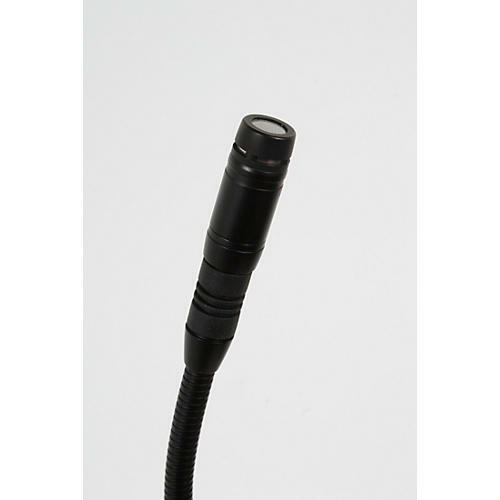 Polarity: 5-Pin XLR: Positive sound pressure on diaphragm produces positive voltage on pin 4 relative to pin 2 of output XLR connector. Logic Connections: LED IN: Active low (‰¤1.0V), TTL compatible. Absolute maximum voltage: -0.7V to 50V. LOGIC OUT: Active low (‰¤1.0V), sinks up to 20mA, TTL compatible. Absolute maximum voltage: -0.7V to 50V (up to 50V through 3kohms).